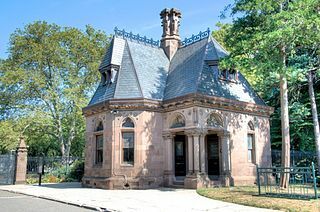 Fort Hamilton Gatehouse at Green-Wood Cemetery, Brooklyn. Photo courtesy Bestbudbrian. 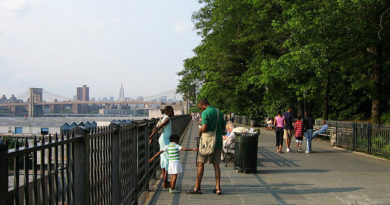 Many restaurants across Brooklyn will no longer be making deliveries to the Fort Hamilton army base. The restaurants are reacting to the June 1st arrest of Pablo Villavicencio by the Immigration and Customs Enforcement agency after being turned in by soldiers at the base. Villavicencio was making a delivery of pizza to the base when he was asked for his ID. Villavicencio showed the soldiers his ID, which was a New York City ID, a freely issued, government-based card that all city residents can get no matter what their immigration status. After he was asked for a second ID, which he did not have, the soldiers ran a background check. They found that there was an active ICE warrant for Villavicencio and detained him until ICE arrived to take him to a New Jersey detention center, where he is waiting to be deported. It does not seem to matter to ICE that Villavicencio is a 35-year-old working father of two American citizens and married to an American citizen. Restaurant owners are now afraid to send deliveries to the base for fear a similar fate awaits their delivery people. The governor of New York, Andrew Cuomo, is not pleased with the arrest and has offered Villavicencio free counsel to fight the deportation order. “Detaining a hardworking man, separating a father from his children and tearing apart communities, doesn’t make America safe, and a wrong-minded immigration policy grounded in bias and cruelty doesn’t make America great,” Cuomo said. Villavicencio has been given an emergency stay of his deportation until July 20.